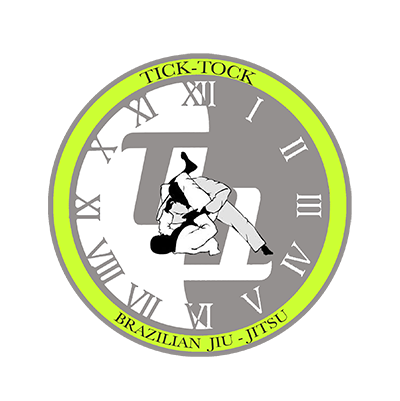 Alot of people consider the belt system in jiu-jitsu as an indication of technique or time spent on the mat. And to be sure, there are definitely some standards that everyone could agree on: you shouldn’t be a blue belt if you don’t know how to do an armbar, and you shouldn’t be a black belt after only six months of training. But what many people forget is that your mentality should also undergo a transformation as you gain experience and move up the ranks in jiu-jitsu. While there are obviously major differences in the mindset of a purple belt and a ten-year black belt, some of the biggest changes that happen in a short amount of time occur — or should occur — between the day you first put on your white belt and the day you get your blue belt. No matter how good your technique is or how long it took you to finally hit that blue benchmark, these things should never happen by the time you get that first major promotion. Accidents happen, and we all accidentally knee someone in the face on occasion. But if it’s happening all the time when you roll with your teammates, it’s because you don’t know how to control your body. Just about everyone goes through this as a white belt, and upper belts will know this; it’s what happens naturally when you don’t have the technical knowledge to control an opponent or your own movements and try to burst into things because, hey, you don’t know what else to do. If your teammates are constantly telling you to “calm down and breathe” or suffering through your constant headbutts and punches, though, you need to figure out how to chill as soon as possible. Again, this is basically expected of inexperienced grapplers. If you don’t know how to be technical when submitting someone, of course you’re going to rely on your strength. This is something that can be seen with a lot of upper belts as well, but by the time you graduate to blue belt, your reliance on your strength should have significantly decreased, and you should be able to focus more on leverage and control instead of jerking on your teammates’ shoulder with every last ounce of energy within you. I can feel myself get a gray hair every time a guy tells me he feels awkward about hand placement while rolling with women or having to get into north-south with a male training partner, but hearing a comment like that from someone with a colored belt takes a week off my lifespan. Jiu-jitsu is a close-contact sport; at first, you might feel a little weird being that close to another human being. It’s natural. But once you train for a few months or even a few weeks, you should be over it. Different academies have different rules and codes of conduct, so it’s understandable that you might commit a small faux-pas at a different gym if you went to cross-train. However, there is no reason to be messing up at your home school or not follow basic rules such as keeping shoes off the mats. At any decent gym, the rules apply to everyone, and trying to get around them or thinking you’re too good for them is something you should stop the moment you walk in the door for the first time. If you’re still pulling that nonsense as a blue belt, you don’t deserve to have it around your waist. Sometimes a submission happens too quickly for you to tap. Sometimes you think you’re safe, then your elbow pops. Sometimes you think you can get out of a choke, then the next thing you know, your instructor is lifting your legs and trying to get you to wake up. And yes, sometimes you feel the need to be a #warrior and fight submissions until you seriously injure yourself. But that last one should be beaten out of you by the time you’re on the tail end of your white belt career. Any higher belt with any sense of sense will tell you that it’s infinitely better to tap out than to be out of the gym for months with a serious injury, and you should have that figured out after a popped elbow or two. On the flip side, you also shouldn’t quit just because things get tough. The first time you feel a solid knee-on-belly or even a heavy side control, you’re going to want to get that person off you by any means necessary, including tapping out. But jiu-jitsu is the art of getting comfortable with discomfort. You’re going to be put in a lot of uncomfortable positions, but by the time you’re a blue belt, you should be able to generally differentiate between something that’s less than fun and something that’s dangerous. At that point, tapping out because you’re tired or caught between a heavyweight and a hard place just isn’t acceptable anymore. Having a white belt mentality or making white belt mistakes isn’t bad… as long as you’re a white belt. If you feel like you’re on the verge of getting ranked up, analyze your own training mentality and make sure your mindset is where it needs to be. You’ll be surprised at how much fixing up your mind can improve your grappling game.